Sealed bids for the City of New Castle 2018 Citywide Paving Contract will be received by the City Administrator until 1:30 p.m. on Thursday, February 8, 2018, at the City Administration Building, 220 Delaware Street, New Castle, at which time they will be publicly opened and read. Bids received after the stated time will be returned unopened. The Contractor shall begin work on or about May 1, 2018. 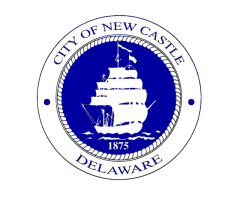 Project generally involves roadway restoration and drainage work at multiple locations within the City of New Castle. There are two locations, Baldt Avenue and a portion of Third Street, in the Base Bid. Four locations, an alternate configuration of Baldt Avenue, Centerpoint Boulevard, Johnson Way, and Grey Street are Alternates. Work will include mobilization / demobilization, maintenance of traffic, field engineering and surveying, sediment and erosion control, removal of existing materials, roadway milling, type B and type C asphalt, graded aggregate base course, concrete curb, concrete valley gutter, handicap ramps, restriping, restorations, storm sewer, storm inlets, granite curb, brick sidewalk, and undercutting. The Contractor shall complete all work specified in the Base Bid and Alternate #1 (if accepted by City) within 120 calendar days of the Notice to Proceed. The Contractor shall complete all work specified in the remaining alternates within 240 calendar days of the Notice to Proceed. Bidding documents may be obtained during normal business hours at the City Administration Building, 220 Delaware Street, New Castle, beginning Tuesday, January 16, 2018. A Pre-Bid Meeting will be held on Tuesday, January 23, 2018 at 11:00 a.m. at Town Hall, 201 Delaware Street, New Castle. Attendance at this meeting is mandatory for all prospective bidders and will be a pre-requisite for submitting a bid. Bids shall be submitted in a sealed envelope and shall be marked clearly as follows: Sealed Bid – Proposal for 2018 Citywide Paving Contract Requirements for a 10% Bid Bond, 100% Performance Bond, 100% Payment Bond and Maintenance Bond, and Contractor’s Insurance are included in the Contract Documents. Minority Business Enterprises (MBE), Disadvantaged Business Enterprises (DBE) and Women-Owned Business Enterprises (WBE) will be afforded full opportunity to submit bids on this contract and are encouraged to do so. Each Bidder must deposit with their bid a security equivalent to 10% of the bid amount, form and subject to the conditions provided in the instructions for bidders. The City of New Castle reserves the right to reject any or all bids and makes such award as appears most advantageous to the City. The City may extend the time and place for the opening of the bids from that described in the advertisement, with not less than two calendar days-notice by certified delivery, facsimile machine, e-mail, or other electronic means to those bidders who have obtained bid packets.